We are a full service auto care facility and we specialize in transmission repair. We have an excellent reputation for honesty, integrity, and customer service which yields tremendous repeat and referral business. Our technicians are all ASE certified and use the latest tools and technology to diagnose and repair vehicles. They receive ongoing training to deliver the highest quality of service possible. We are the only AAA approved and certified repair center in Bowling Green. We also provide “certified auto care” through O’Reillys Auto Parts. We have an A+ rating with the Better Business Bureau. We are members of the Bowling Green Area Chamber of Commerce and are very active in the community through our church, clubs and sports booster activities. For the last thirteen years we have been located at 945 US 31W Bypass in Bowling Green, Kentucky just up from GADS and between Cheetah Car Wash and Hinton Cleaners. We are a full service auto care facility and we specialize in transmission rebuilding/repair as well. 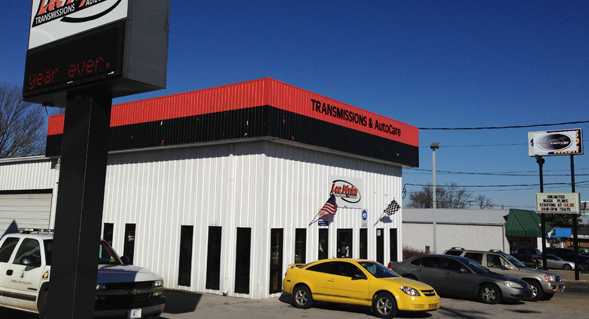 Lee Myles AutoCare and Transmission is a leading repair facility in Bowling Green. Established in 1991 we have been providing our friends and neighbors with dependable, trustworthy auto repair services. Whether you need a major or minor repair our skilled and certified technicians can quickly diagnose and pinpoint solutions saving you valuable time and money in the long term. is it. If you are looking for a Bowling Green repair center you can TRUST, you must consider Lee Myles AutoCare and Transmission. Come see why our customers love us. Our goal is to have customers for life! Lee Myles AutoCare and Transmission – Bowling Green’s premier transmission experts. Our technicians are highly qualified to handle all of your general automotive needs, big and small. From major engine repairs to routine vehicle maintenance, Lee Myles is your One-Stop Auto Repair Facility. Lee Myles Center of Bowling Green specializes in transmission rebuilding, which means that instead of automatically trading your damaged transmission for another unit, our technicians check to see what’s broken and that’s all we replace. After all, nobody should pay for repairs they don’t need! 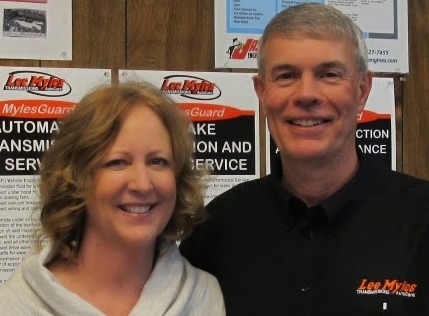 Mindy & Lance Sunderlin bought Bowling Green Transmission Center (BGTC) in November 2004 and converted it to Lee Myles AutoCare and Transmission. BGTC had been in existence since for over thirteen years. Mindy and Lance together moved to Bowling Green in 1994. Lance was hired to be the General Manager (GM) for the Components Division Plant of Sumitomo Electric Wiring Systems (SEWS) providing the highest quality parts to the automotive industry. Over the course of nine year, his responsibility was expanded and he was the GM for three different plants in Scottsville, Kentucky and Lebanon, Ohio. Prior to working for SEWS, he had spent over sixteen years in various manufacturing positions making industry leading wire and cable. Mindy and Lance loved living in Bowling Green so we decided to open our own business in order to stay here, so they bought BGTC and converted it to Lee Myles AutoCare and Transmission where they continue to serve their community. Chuck Cardwell is the shop manager here at Lee Myles AutoCare and Transmission. 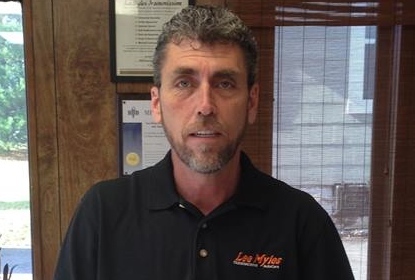 He greatly appreciates his clientele who trust Lee Myles for all of their Auto Care needs. Beginning as a automotive technician, Chuck has worked his way to shop manager with a significant amount of experience on hand. He has over 35 years experience as a automotive manager and technician. Along with his extensive experience, he is also an ASE certified technician as well as being certified in automotive repair by Ford Motor Company and GM. His knowledge and experience shape his expertise here at Lee Myles. He will be delighted to assist and answer all of your auto care questions.